This year was Cedar's golden birthday. 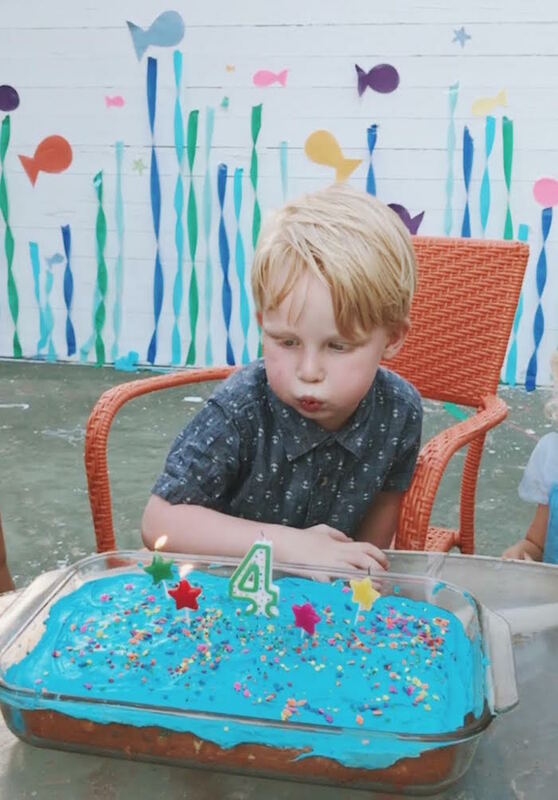 He turned 4 on the 4th! 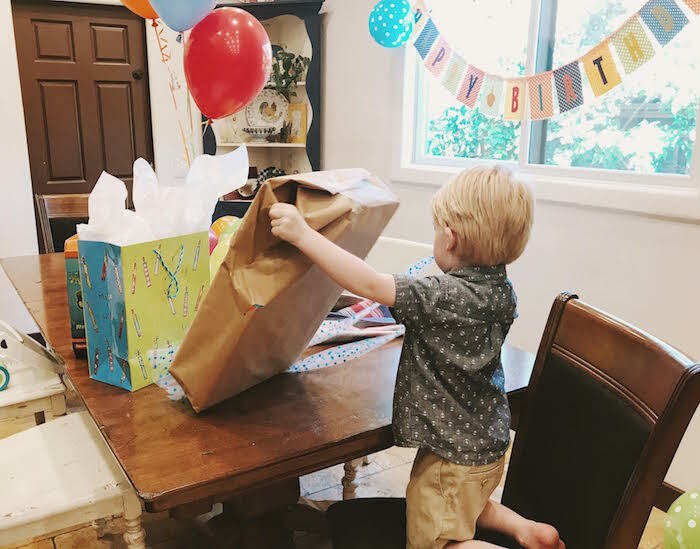 I can't believe we have a 4 year old... it has gone by sooooooo fast! Actually, it's kind of scary how fast it has gone. He was so excited for his birthday this year. For months all he has talked about was having an Octonaut themed birthday party, I'm pretty sure he thought that an Octonaut party was where everyone brought you Octonaut toys, haha. Luckily he got a few of those from his friends & from us :). We got back from Utah on June 1st, then June 2nd was our anniversary so it really left me the 3rd to prep & plan his party, so it wasn't exactly Octonaut themed because apparently you have to think ahead & order Octonaut party supplies ?! I figured the party store would have some, but I was totally wrong. There was literally nothing in the store! 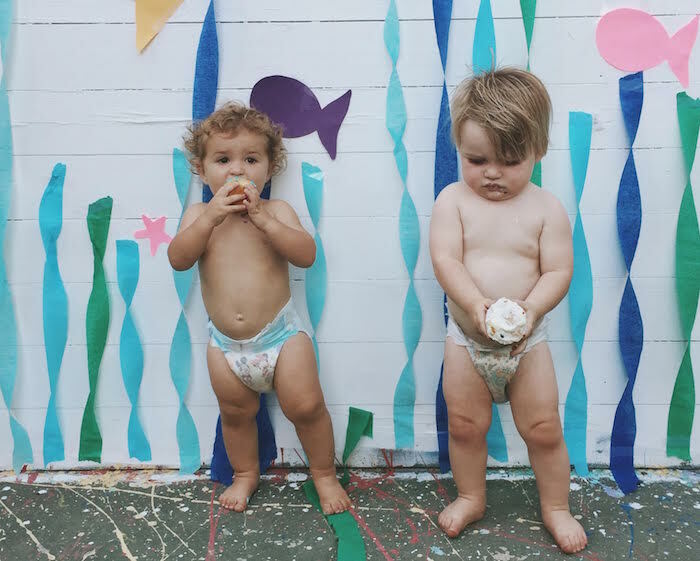 So his Octonaut party was more of an Under the Sea party with one wall of decorations, haha. Luckily for me he liked it & he doesn't really care about decorations in the first place, so it all worked out. 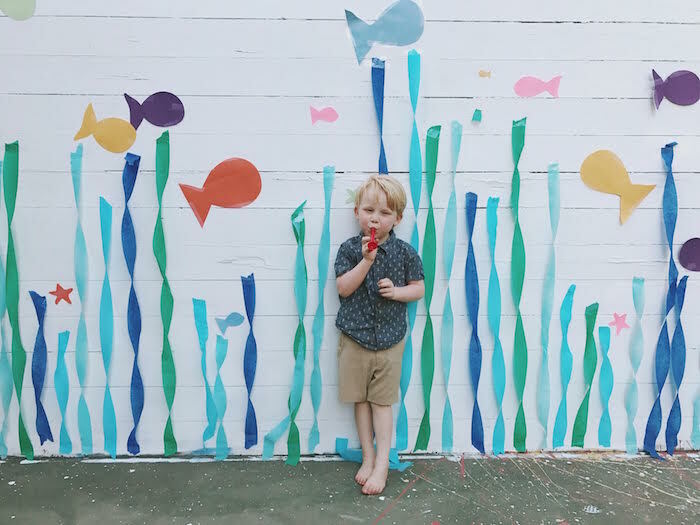 I made a water background in our backyard with some streamers & cut out fish to tape up, the kids jumped with balloons on the trampoline & went on an Octonaut themed treasure hunt to find their goodie treasure boxes with little animals, toys & candy. 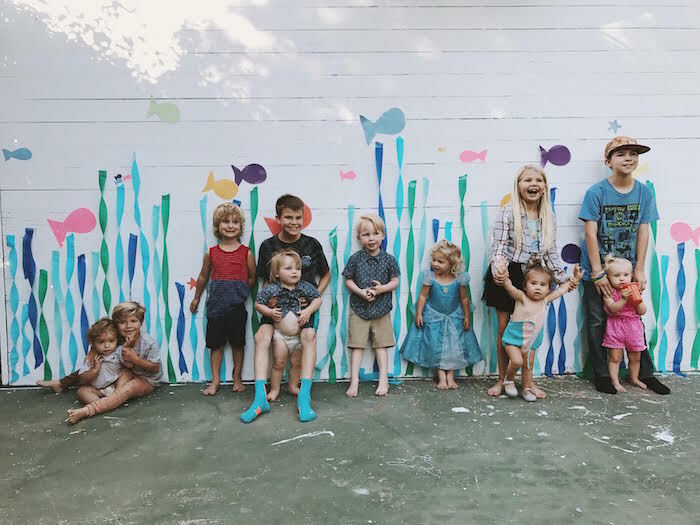 It turned out really cute & simple, Cedar only requested two of his friends so it was mostly a family party with a few added people & was perfect. He was happy which is all that matters. Cedar is really the sweetest boy. I don't think I can say that enough. When anyone asks me about him I always start with the fact that he is so sweet because I think it's adorable. He loves Milo sooo much, always makes sure to give him hugs & kisses before bed, his favorite thing is to see Milo in the morning after he wakes up. He adores all babies, he loves to play with his baby cousins & his friends little siblings, always holding their hands & trying to help them. He is constantly making pictures for me, austin, my mom, austins parents, friends.. everyone & he puts so much thought & effort into it. He's also a pretty good helper, when he wants to be at least, hah. His imagination is currently off the charts. It's so much fun. He comes up with the funniest songs, stories, & games to play. He loves playing rodeo which I find hilarious, he is still super obsessed with dinosaur & animals & is always building them homes. Cedar is also really into putting his animals & dinosaurs to sleep which is pretty funny. Sometimes I wonder where Cedar came from because he & I are different on so many levels. 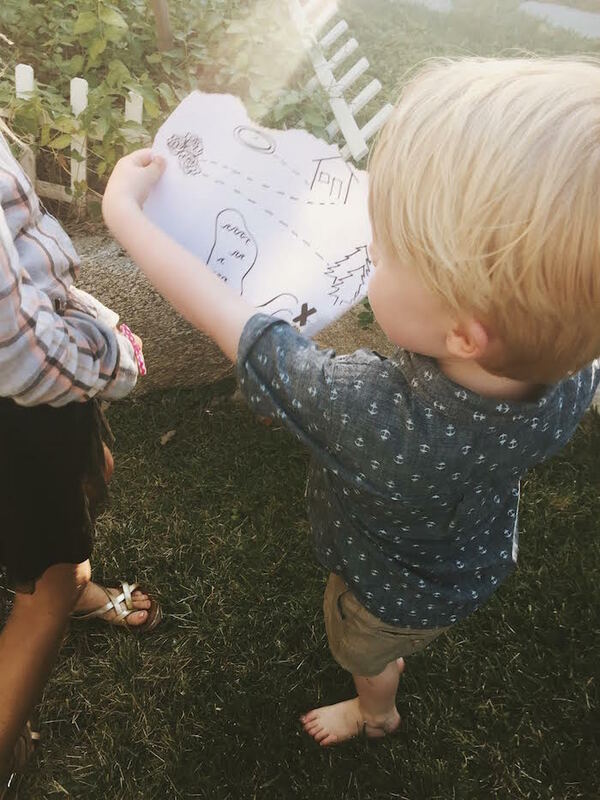 He is fairly organized for a 4 year old, which is something I'm still not great at, & he looooooooves going to school, so much & I didn't like school until I was in college, so that is a huge difference! I think I have his dad to thank for both of those characteristics. Almost everyday he asks if he GETS to go to school not if he HAS to, which is something I really love about him & I hope the love for school continues! Reading is one of his favorite things to do & he can have a book memorized after hearing it just a couple times read to him. He has an amazing memory, another trait not inherited from me, haha. Cedar has also become a little fish in the last couple of months, he has found a love for swimming & is getting pretty good at it too. It is so fun watching him in the pool being confident in himself & having so much fun while doing it. He also has really taken to rock climbing. He's only been a handful of times but always wants to go & is surprisingly good at it, I can see him thinking about his hand & food placements & figuring out how to get where he wants to go. It is so cool watching him thinking about it & figuring it out on his own. 4 years ago I was absolutely terrified of becoming a parent, but it has been the best thing in my entire life, & I've got Cedar to thank for that!